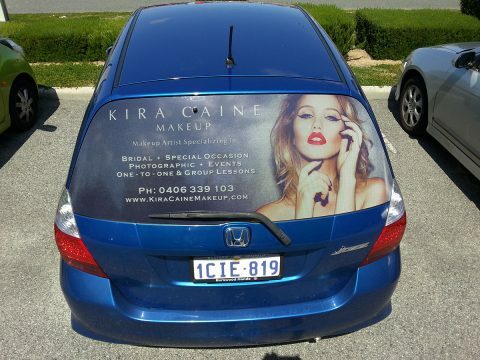 On every car, there’s a big back window which makes a perfect area to advertise. The most convenient way to do it is to use one-way vision, or Clear Focus – a product that has small holes which enables you to see out of it, while retaining a solid appearance on the outside. This lets you put your message on the back window. Not all one-way vision films are created equal, however. 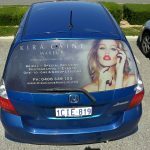 Perth Graphics Centre uses a special adhesive which is conformable to curve to most window shapes, while a protective overlaminate also prevents scuffing of the print. An additional benefit is that it prevents water filling up the little holes which can impair your vision. 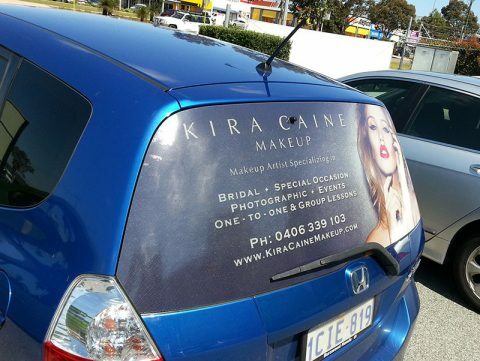 If you want to advertise your business on the back windows of your cars, then please ask for a quote. 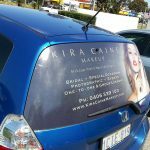 I would like to get a quote on Car window signage. If I want to get a sign on the back window of a Hyundai Elantra with an image and some text, how much it would cost me?